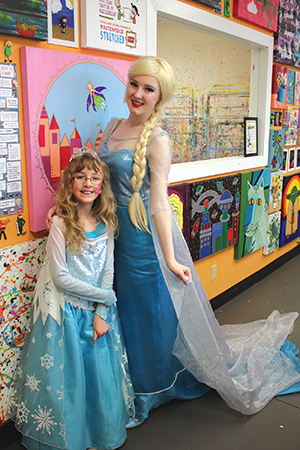 Spring Break was filled with amazing camps and Princess & Fairy workshops at 4Cats Arts Studio Leduc, a professional arts studio for artists ages 2-102. On Saturday, April 4th, we hosted a magical Princess & Fairy Gallery Soiree that showcased the amazing masterpieces created by the kids in our Princess & Fairy workshops. The event was a magical party full of art, facepainting, fun and wonder!